All buildings should have proper signage, both inside as well as outside the building premises. Putting proper signage will facilitate the users to locate and approach the building, when someone is new to the area. Within a large building complex as well, it is important to provide proper signage so that the incoming crowd can locate the proper area they wish to visit without a hassle. The signage design should be such that it is legible and of some material which does not get affected by the surroundings. Also, proper lighting with signage’s or reflector signage should be provided for wherever necessary. Tapware - an industry term for that sub-category of plumbing fixtures consisting of tap valves and their accessories, such as water spouts and shower heads. Each of these plumbing fixtures has one or more water outlets and a drain. 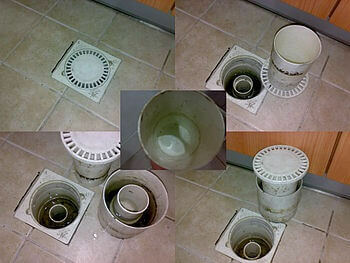 In some cases, the drain has a device that can be manipulated to block the drain to fill the basin of the fixture. Each fixture also has a flood rim, or level at which water will begin to overflow. Each fixture usually has a characteristic means of connection. 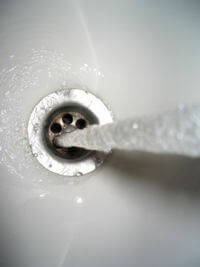 Normal plumbing practice is to install a valve on each water supply line before the fixture, and this is most commonly termed a stop or "service valve". All plumbing fixtures have traps in their drains; these traps are either internal or external to the fixtures. Traps are pipes which curve down then back up; they 'trap' a small amount of water to create a water seal between the ambient air space and the inside of the drain system. This prevents sewer gas from entering buildings. Most water closets, bidets, and many urinals have the trap integral with the fixture itself. The visible water surface in a toilet is the top of the trap's water seal.